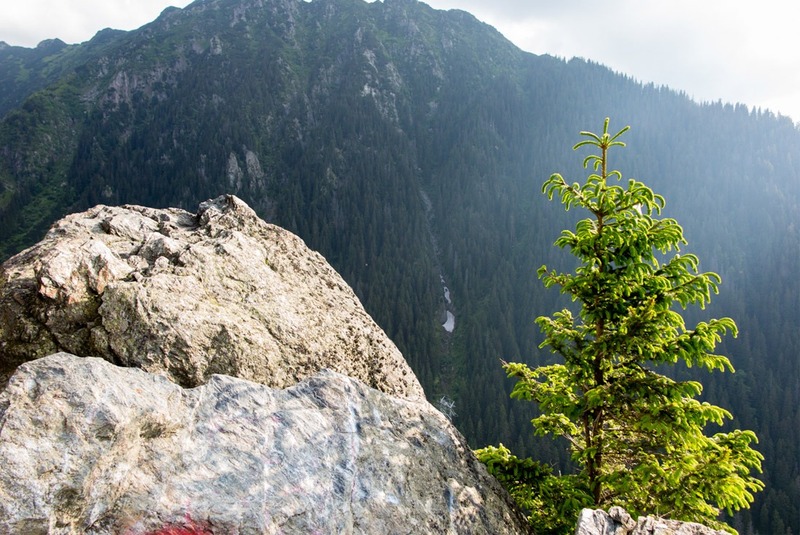 Chances are if you’re planning to explore Romania beyond the famous Transylvania, you’ll have to cross the major mountain range in the middle. I hope you’ll forget about flying, because the road that crosses it, called Transfagarasan, is way too unique to miss out on. It often tops lists of the most scenic roads in the world! The road turns into a snake towards the top! As I’ll cover towards the end of the post, if you have a rented car, the road is easy to access in the summer months. I enjoyed the winding road to a full extent while on a trip with JayWay Travel. No driving for me, only looking left and right and capturing all I could with my lens. 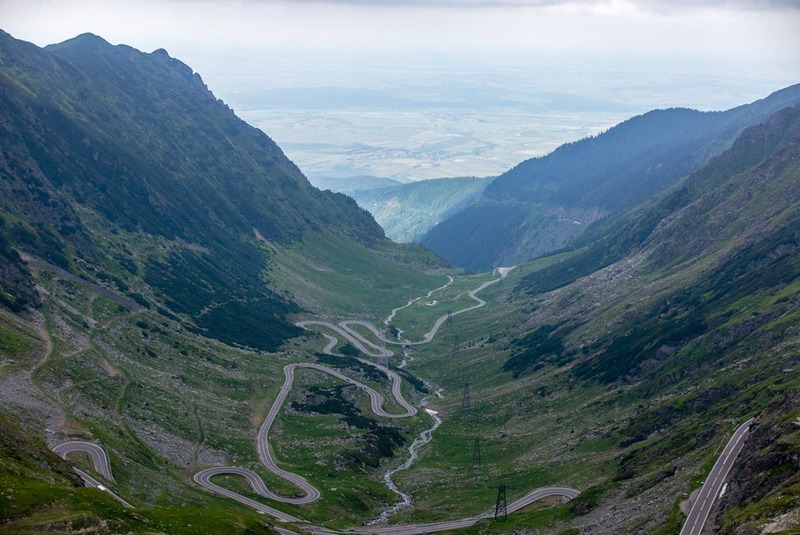 You might have heard of Transfagarasan Road from Top Gear. Jeremy Clarkson came here in 2009 and they spent a day filming on the road and in its tunnels. And it got wild! If you’re viewing from the right country, you might even be able to see the official Top Gear video from Transfagarasan. 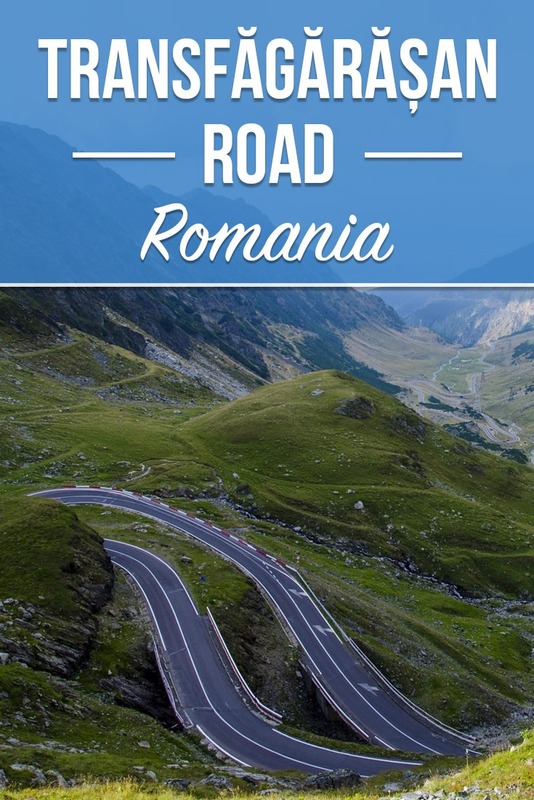 Top Gear presented the unique highway to the world and thanks to that it became one of the main attractions that travelers come to see in Romania. It certainly helped that Clarkson called it “the best road in the world”. 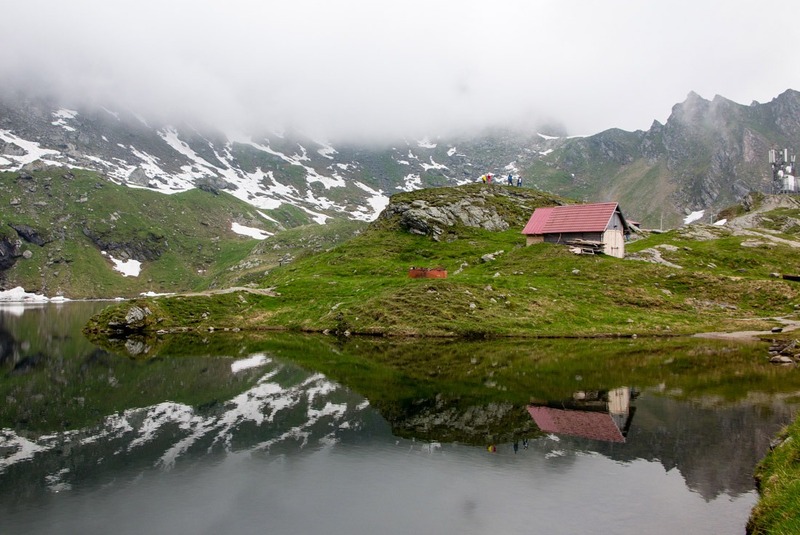 As the name suggests, the highway crosses the Fagaras Mountains, forming a part of the Carpathians. 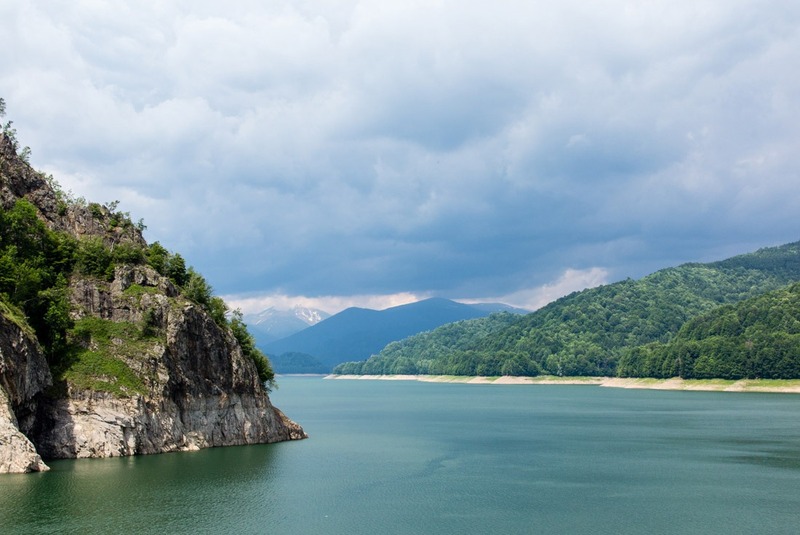 These mountains are often referred to as the Transylvanian Alps and divide northwestern and southern Romania. The 90km (56 miles) long road ambitiously climbs over the peaks, first copying a river, then just respecting the ridges. The extremely sharp hairpin turns lead you all the way up to a height of 2,042 metres (6,700 ft). You’ll find yourself in a crest between the country’s highest peaks: Moldoveanu (2,543m/8,343ft) and Negoiu (2,535m/8,317ft). You’ll be so high that sometimes clouds might roll in and obstruct your view. And you might even experience snow! We did, even in June. Actually, the weather conditions keep the road closed from November to June, but we were lucky enough that on the very day we were driving from Bucharest to Sibiu, the road just opened. Transfagarasan Road belongs also to one of my fellow blogger friend Marek’s favorite place in Transylvania. Look at all those hairpins and serpentines! 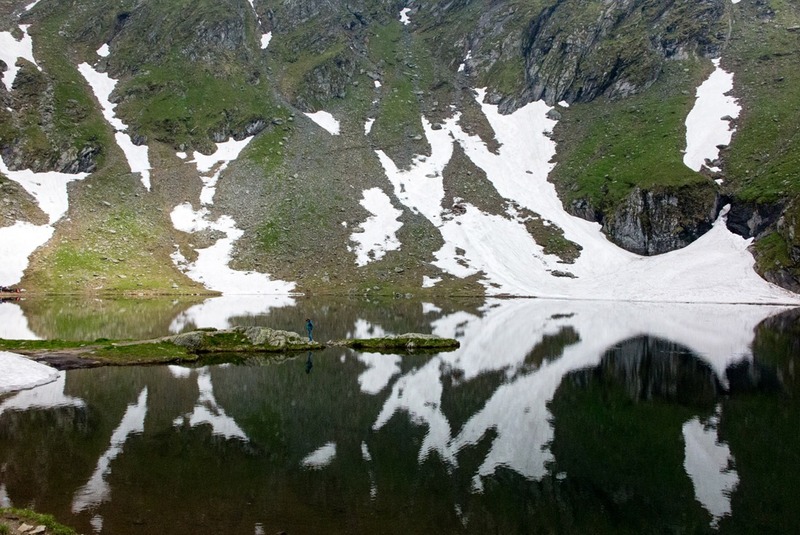 The Balea Lake beautifully reflects everything! 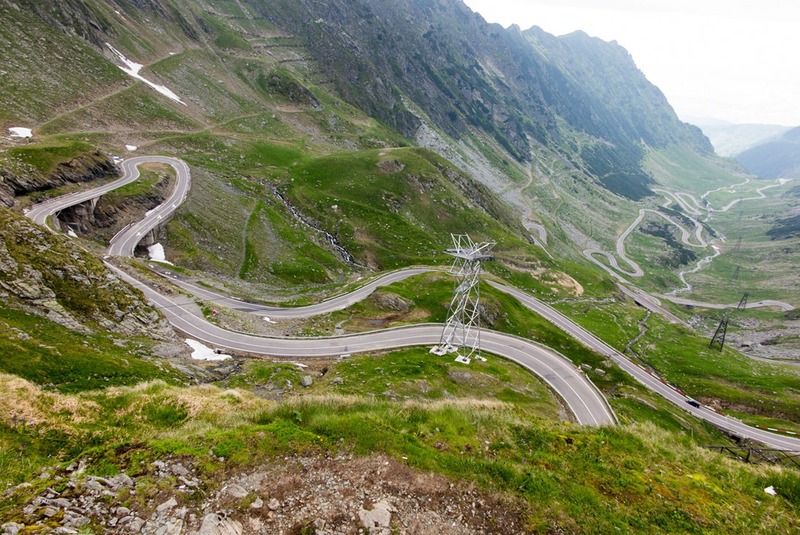 Here the very top of Transfagarasan Road. Of course, you mainly come for the views from the top. But there are a few spots where it pays off to stop for a photo break. Other than almost every picturesque hairpin turn with a waterfall! On the southern section of the road you’re going to come across this ruin. You can barely see it from the road, so unless you have a drone or are willing to hike up the many steps, you won’t see much. 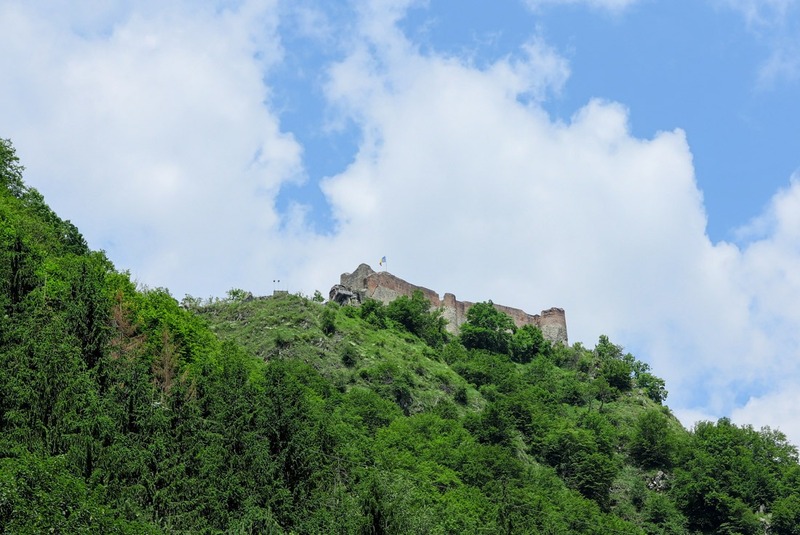 Poenari Castle – this is where ‘Dracula’ lived. Not even that scary, right? 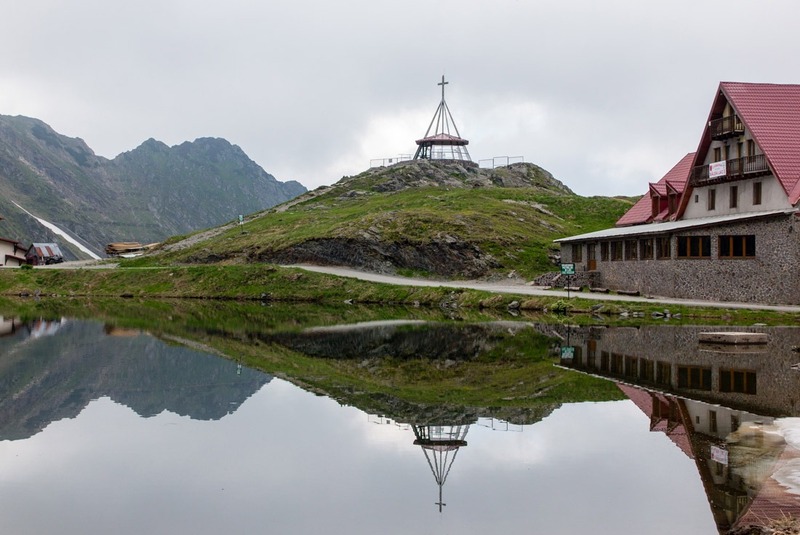 Vidraru Lake – a great pit stop on the Transfagarasan Highway. Make no mistake, this is definitely not just another lake. 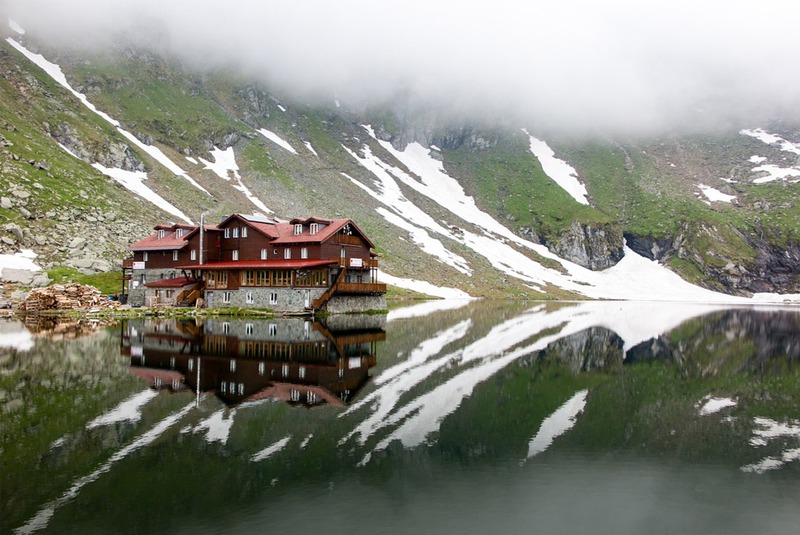 Mainly thanks to streaks of snow on the mountain above the lake, and a cute wooden chalet, the reflections that mirror on the lake create an absolutely stunning image. Balea is a glacial lake, meaning it got created when a glacier eroded the land and then melted in it. Look at the snowy streaks and the tiny person! I just couldn’t get enough of all the reflections! You won’t see more tunnels or viaducts on any other road in Romania. There are in total 5 tunnels, of which the longest one, starting at the Balea Lake, measures 887 metres (2910 ft)! That makes it also the longest road tunnel in Romania. 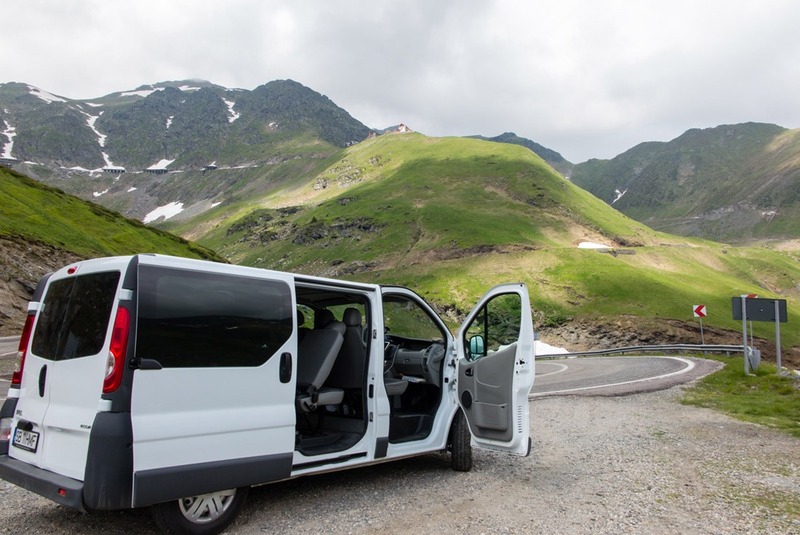 There are plenty of places to stop along the Transfagarasan Highway. And you’ll want to stop often! In winter, the road is fully covered with snow and thus closed. You can’t enjoy passing through all the serpentines, but you can still have a unique experience there even in winter. There’s a cable car running throughout the winter months, which takes you up all the way to the Balea Lake. And hear this: In winter, the frozen lake water is used to build an ice hotel! You can stay in the unique ice hotel, enjoy the scenic cable car ride and then go back to the lower altitude (and higher temperatures). 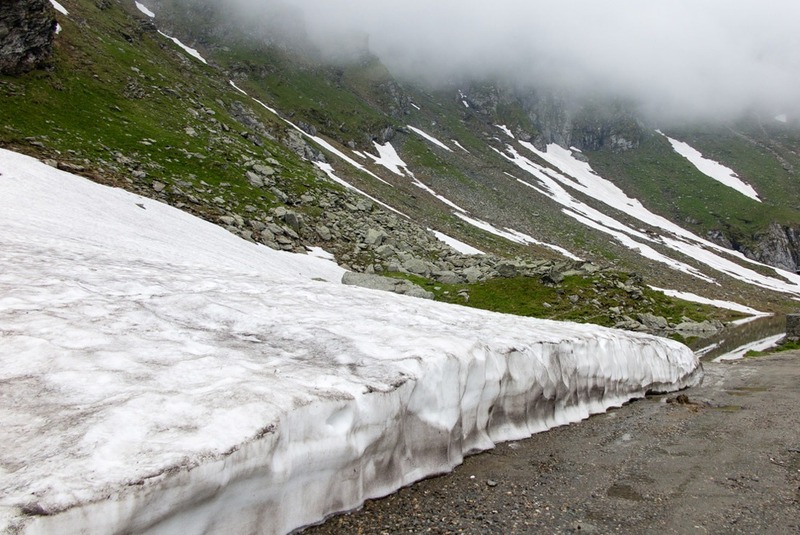 A metre-thick layer of snow by the road on top of Transfagarasan. In June! If you don’t see the road on the map below, it means it’s currently closed. Check Romania’s official road closure info. 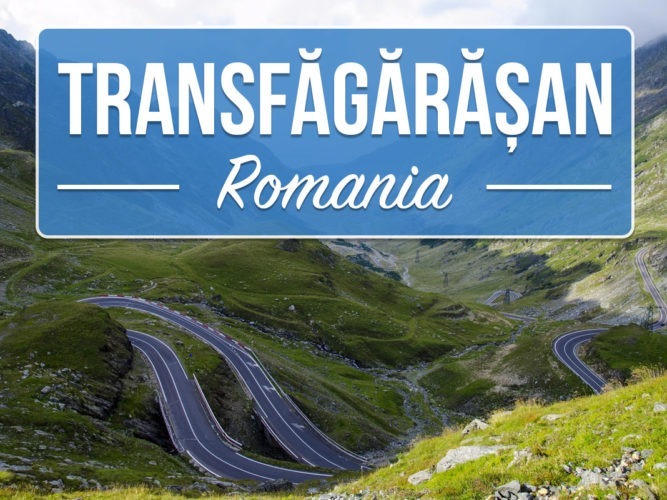 Nicolae Ceaușescu, Romania’s famous dictator at the helm of power from the 60’s to 80’s stands behind most of Romania’s megalomaniac endeavors, and Transfagarasan highway is no exception. Transfăgărășan Road was built from 1970 to 1974 after an invasion of Czechoslovakia by the Soviet Union. In the case of a Soviet invasion, the mountain pass would serve as a relatively fast way to move troops and tanks where needed. The Transfagarasan Pass would connect Muntenia (now called Wallachia, which is the whole Southern part of Romania) with Transylvania. Ceaușescu proved to be a tyrant with this road just like most of his other ambitious projects. Young soldiers, peasants, even intellectuals were ordered to work on the road’s construction in extremely harsh conditions at a record time – only 4 years. Some people labored on the road as a punishment for something they’d done (e.g. protesting the regime), and some just got unlucky. Using more than 6,000 tones of dynamite to erode the rock, a few hundred workers didn’t come out alive. The official number states 39 deaths, but that’s nowhere near reality. Flowers and beautiful views. Transfagarasan really did take my breath away. 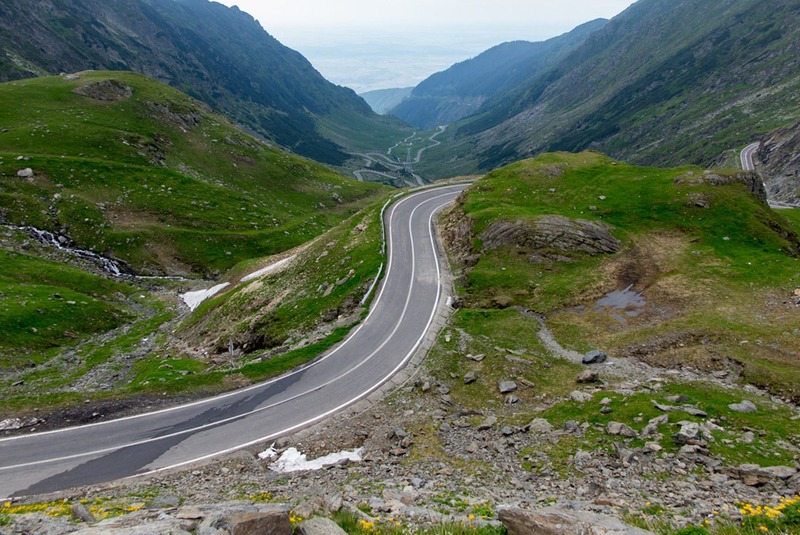 Transfagarasan Road is officially called DN7C (National Road 7C). Its endpoints are Pitești and Arpașu de Jos, with the Lake Balea and Curtea de Argeș city in between. When travelling from Bucharest to Sibiu (or vice versa), this is the fastest route. Other than flying, of course. It takes about 4 hours of driving time. Don’t forget to wear a few extra layers! It gets chilly up there. If you need to stay overnight (and there’s no ice hotel), you can spend a night or two at the chalet right on the Balea Lake. Driving at night (9 pm – 7 am) is prohibited. My last info is from 2017, but you can check this official site for updates. The average speed is around 40 km/h (25 mph) – and even that often feels too fast! Join a cycling contest here, if you dare! 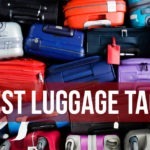 It’s organized usually in the first week of July. For detailed driving instructions, I can recommend this website. Chalet on Balea Lake. While the food is ok (and the service slow), it must be amazing to spend a night there! 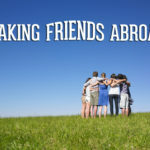 If you’re itching to go to Romania, I can highly recommend JayWay Travel, a great boutique tour company. The trip I was with them on covered Romania and Moldova. The afternoon sun that broke through the clouds was a perfect goodbye to our crossing of the Fagaras Mountains. The afternoon sun finally warmed us up a little bit as we were leaving Transfagarasan and continued to Sibiu. 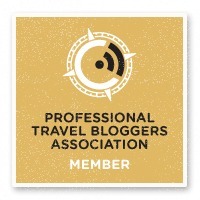 Check out also my friend Kerwin’s take on Transfagarasan. 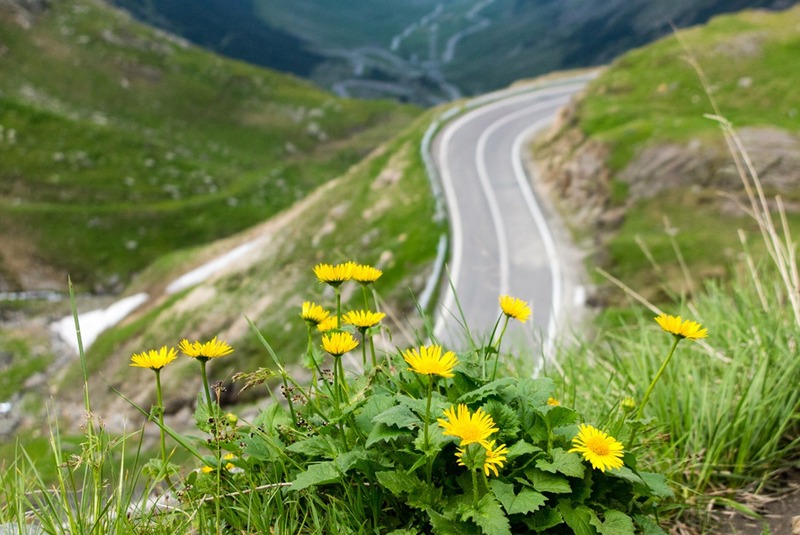 What do you think about the Transfagarasan Highway? Has it picked your interest yet? What’s another extremely scenic route you’ve driven on? Big thanks go to Adela Dadu for making sure I had all the facts right about the Transfagarasan Road! 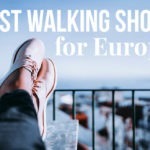 If you’re starting your trip in the capital like we did, here are top things to do in Bucharest. 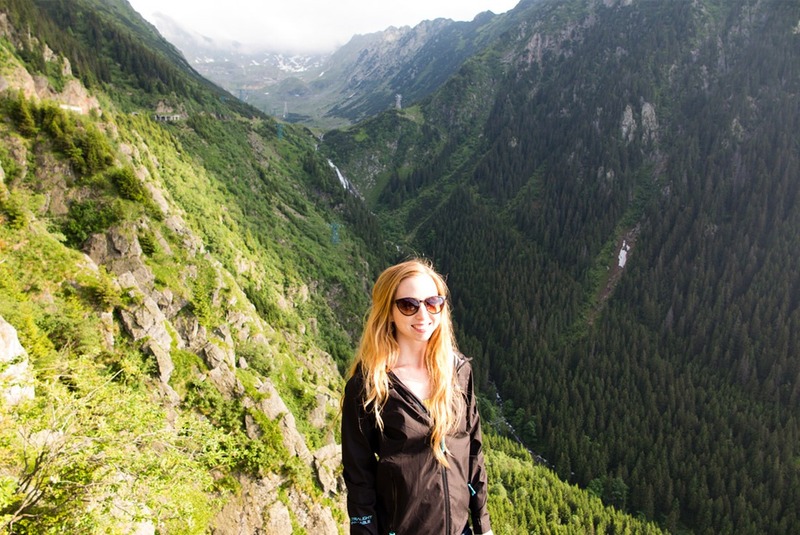 Disclosure: Veronika of TravelGeekery visited the Transfagarasan Road with JayWay Travel on a sponsored trip. All opinions are, however, her own and unbiased. As an avid driver, I would love to take on the curves of this road someday – thanks for the motivation! Hi! Nice article, just wanted to say that the cycling competition takes place actually the first week of July. Best! Thanks so much Marius, it’s always the best to have a local’s insight :) I’m going to add it in the text. Greetings from Prague! 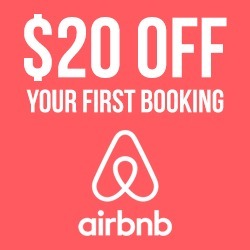 This sounds like such a cool trip. I have long wanted to see this road. I might be in Romania before CZ this summer.